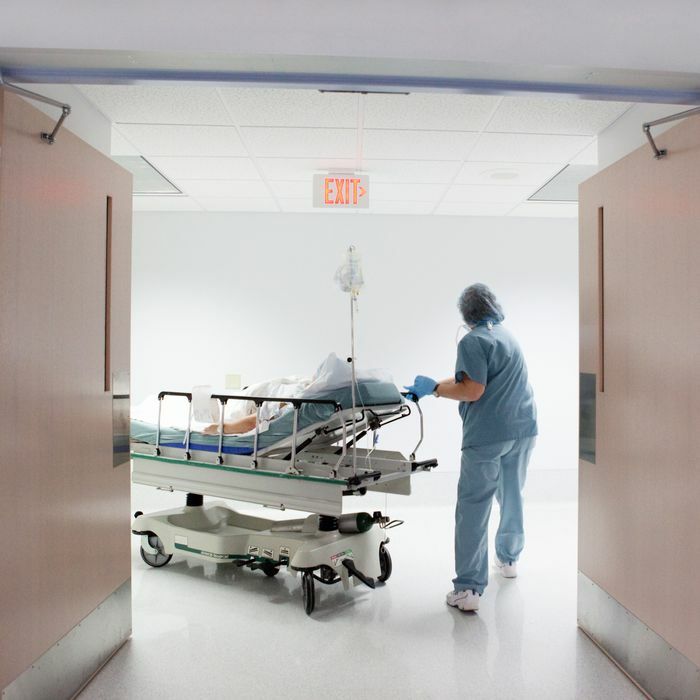 In 2018, Canada spent roughly 11 percent of its GDP on health care, which was enough to provide all of its citizens with premium-free access to the world’s 14th highest performing health-care system. That same year, the United States spent roughly 18 percent of its GDP on health care — which, in our system, was not sufficient to provide any form of insurance to nearly 30 million Americans, nor to prevent more than 50 percent of our people from delaying or forgoing medical care due to affordability concerns. The source of these divergent outcomes isn’t hard to discern: Canada has a single-payer system that enables it to save money on redundant administration, and to dictate reimbursement rates to medical providers. America, by contrast, subsidizes the private insurance industry (and its wasteful administrative bureaucracies), while allowing physicians’ cartels and hospital monopolies to dictate their own pay rates to private providers. Thus, a competently designed single-payer system would be less expensive than maintaining our existing one. For this reason (among others), letting people keep their current employer-provided insurance is not actually an option. As the boomer generation ages, it’s consuming more health-care services, thereby driving up the price of such services. Meanwhile, the burgeoning demand for drugs that ease the burdens of senescence is leading Big Pharma to roll out exorbitantly expensive new medicines. As a result, the costs of health care in America aren’t just exceptionally high, but also increasing exceptionally fast. 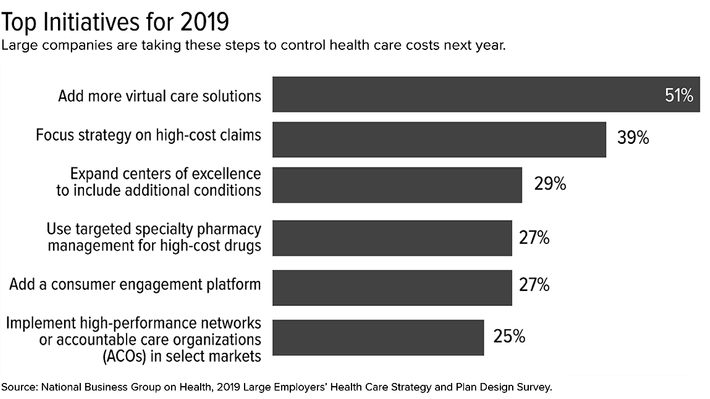 For big employers, the total cost of providing their workers with health-care benefits will rise 5 percent in 2019. That’s twice the rate of wage increases, and three times general inflation, according to the Society for Human Resource Management (SHRM). Our employer-provided health-insurance system has long been a burden on corporate America. Shortly before the Great Recession, General Motors estimated that the cost of providing its workers with medical benefits added $1,500 to the price of every new automobile it produced, putting the company at a competitive disadvantage relative to its peers in nations with more socialized health-care systems (i.e, Germany and Japan). But as the graying of the boomers pushes prices ever higher, our “free market” health-care system will become an existential threat to many a free enterprise. Put simply, more and more firms will be unable to both retain profitability and provide their employees with decent coverage. Already, the quality of employer-sponsored insurance is steadily declining, as businesses pass rising costs onto their workers. And plans are only going to grow more austere as time goes on: A SHRM survey from 2018 found more than half of large companies plan to steer their employees toward more “virtual” or “telehealth” health-care options, as a means of controlling labor costs. A study from the University of Michigan tracked insurance churn directly by surveying Michiganders in 2014 about their health insurance situation and then following up with survey participants 12 months later. The amount of insurance churn they picked up was even higher than I would have imagined. Among those who had employer-sponsored insurance in 2014, only 72 percent were continuously enrolled in that insurance for the next 12 months. This means that 28 percent of people on an employer plan were not on that same plan 1 year later. You like your employer health plan? You better cross your fingers because 1 in 4 people on employer plans will come off their plan in the next 12 months. But human beings are subject to status quo bias. And those who profit off dysfunctional status quo systems can use the broader populace’s loss aversion to their advantage. Meanwhile, bringing the costs of all health coverage in the United States onto Uncle Sam’s books would (almost certainly) require raising taxes. And while voters might be better off trading their ever-rising premiums for a modest tax hike, when private insurers raise premiums, voters are unlikely to hold Democratic lawmakers responsible. When Democratic lawmakers vote to raise taxes, by contrast, they put targets on their backs. Similarly, when Americans lose their coverage due to churn in the employer-provided insurance market, the newly dissatisfied don’t (typically) blame the Democratic Party. If Democrats voted to directly abolish their coverage, however, they almost certainly would.